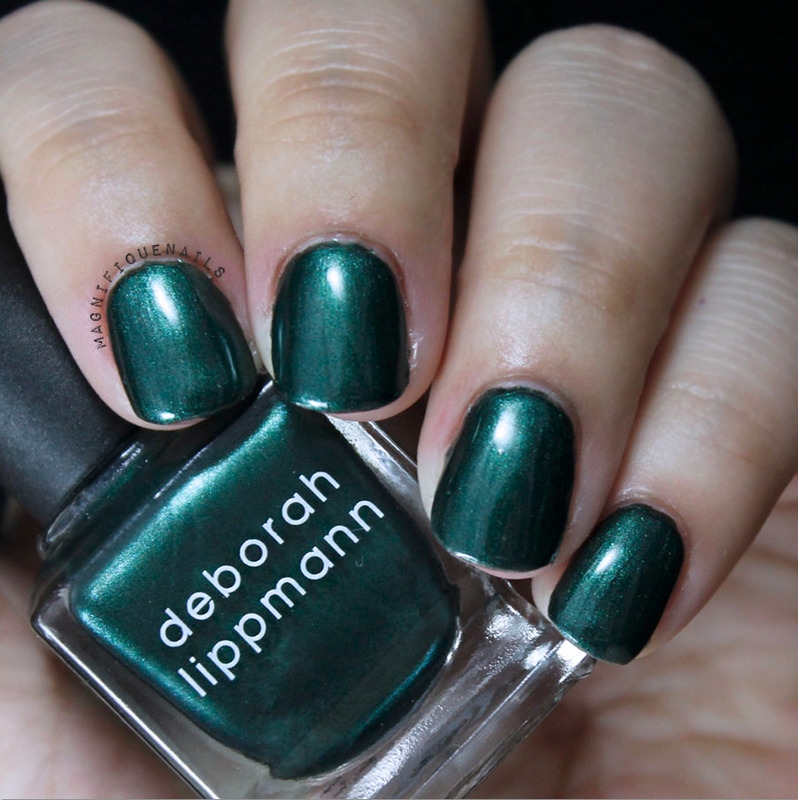 Laughin' To the Bank: This is a very sheer emerald green and my favorite of all the collection. I'm definitely wearing these for the holidays.The formula of the polish is smooth with good coverage. This is two coats, sealed with top coat. 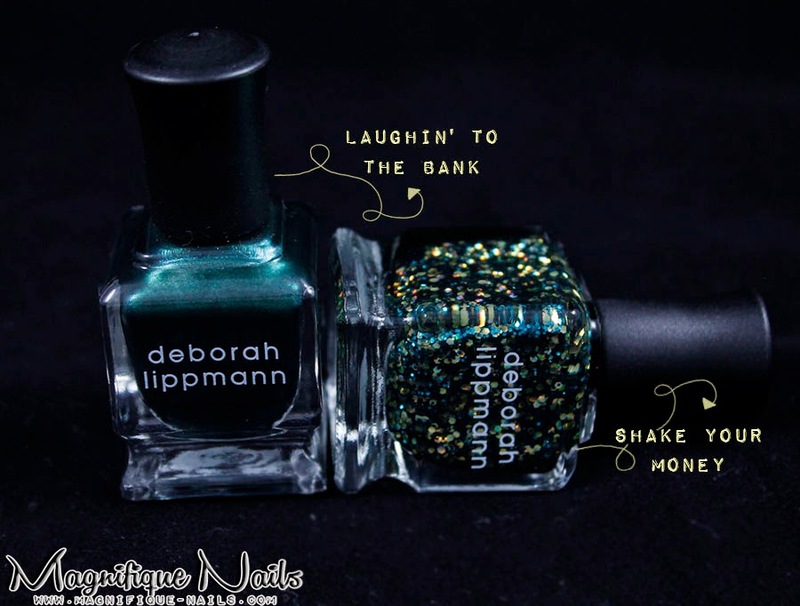 Shake Your Money: I really love the name of this polish. It surely does live up to it's meaning. There's enough glitter for full coverage. The downside it get's a little lumpy & thick the more coats you apply to the nail. However, under the sun the holographic glitters looks amazing, like shiny jewels. This is two coats, sealed with top coat. (Base is two coats Laughin' To the Bank) Alone it's 3 to 4 coats for full coverage. 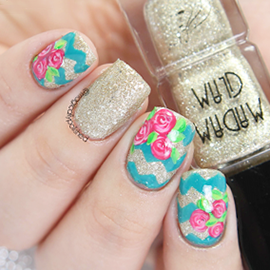 Fake It Til You Make It: This is a beautiful gold sheer polish with green/red/gold glitters. It reminded me of sand. The formula of the polish is a little thick, I added a small amount of nail polish thinner to thin out for a smooth surface. This is two coats, sealed with top coat. 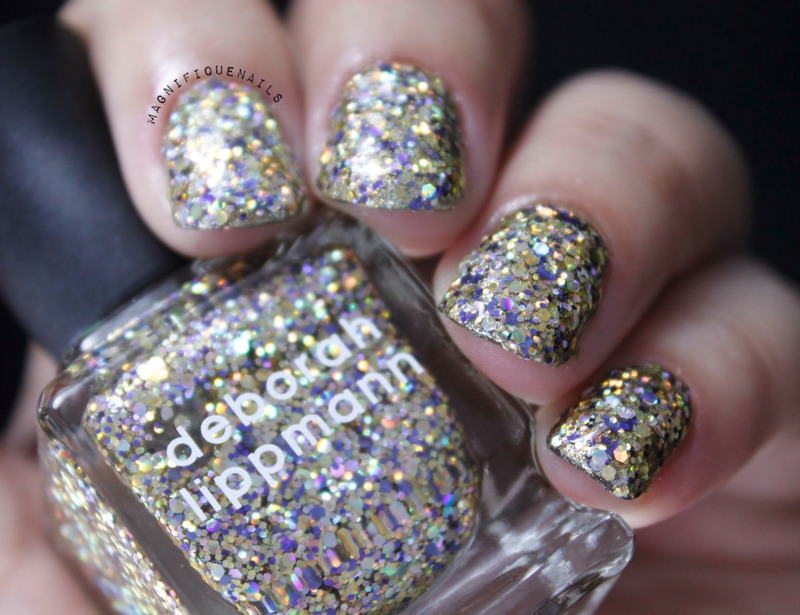 Glitter and be Gay: Definitely the glitters in this polish stands out the most and my favorite. The combination of yellow/purple and holographic glitters looks amazing. There is enough glitter for full coverage. However, like Shake Your Money it get's a little lumpy & thick the more coats you apply to the nail. This is two coats, sealed with top coat. (Base is two coats Fake It Til You Make It) Alone it's 3 to 4 coats for full coverage. 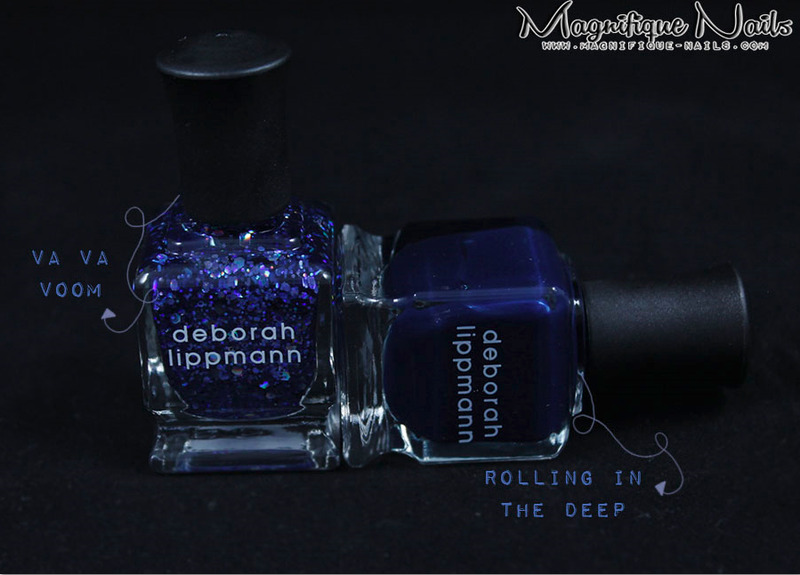 Rolling in the Deep: This is a beautiful sapphire blue creme with sliver micro glitters. This is a great neutral color for the fall. 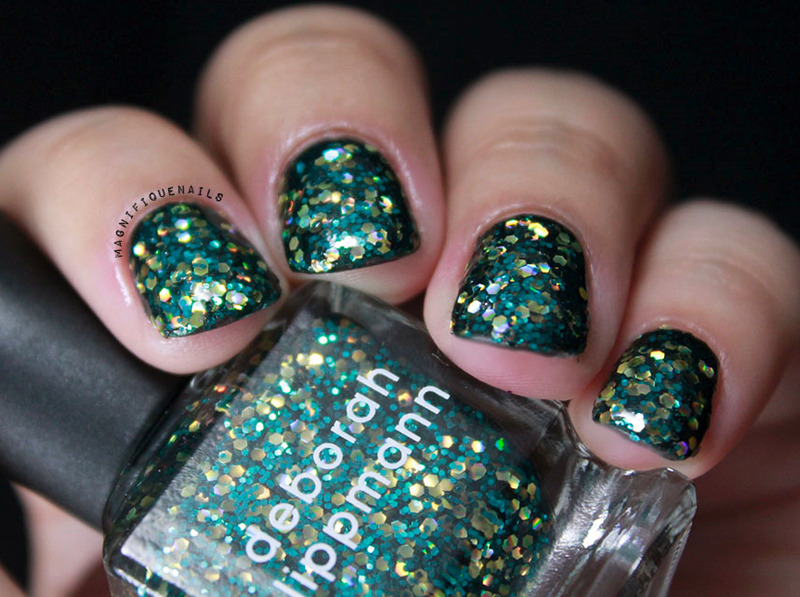 The formula of this polish is perfect. It's smooth with full coverage. This is two coats, sealed with top coat. 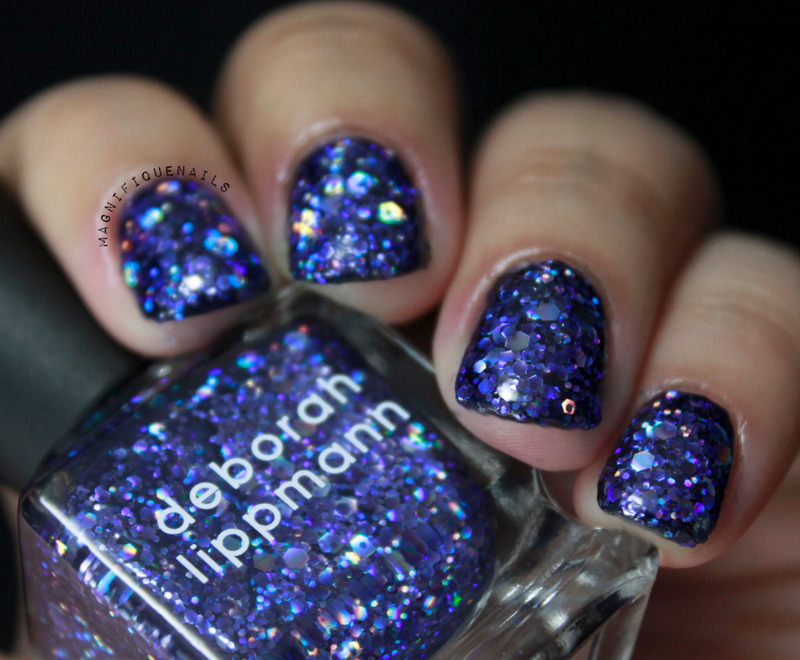 Va Va Voom: This is a beautiful sapphire blue with large holographic glitters. Under the light the holographic gives a little hint of purple.There is enough glitter for full coverage. 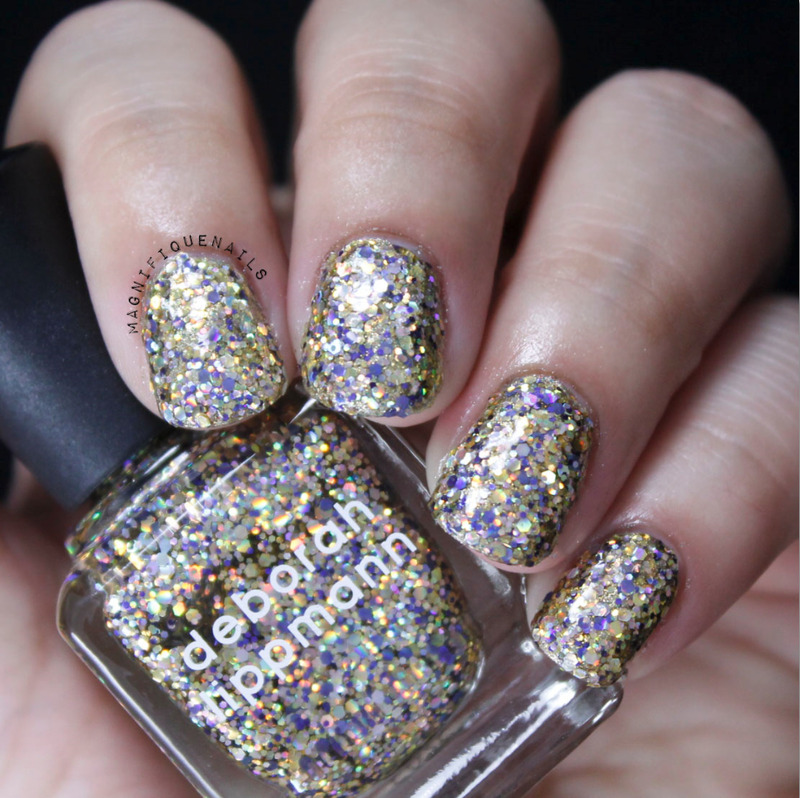 Like Shake Your Money & Glitter and be Gay it get's a little lumpy & thick the more coats you apply to the nail. This is two coats, sealed with top coat. (Base is two coats Rolling in the Deep) Alone it's 3 to 4 coats for full coverage. Aren't they beautiful! I was really impressed by the amount of glitter each polish had. Especially, how each holographic glitter uniquely shines under sunlight. The solid colors look beautifully on their own too! 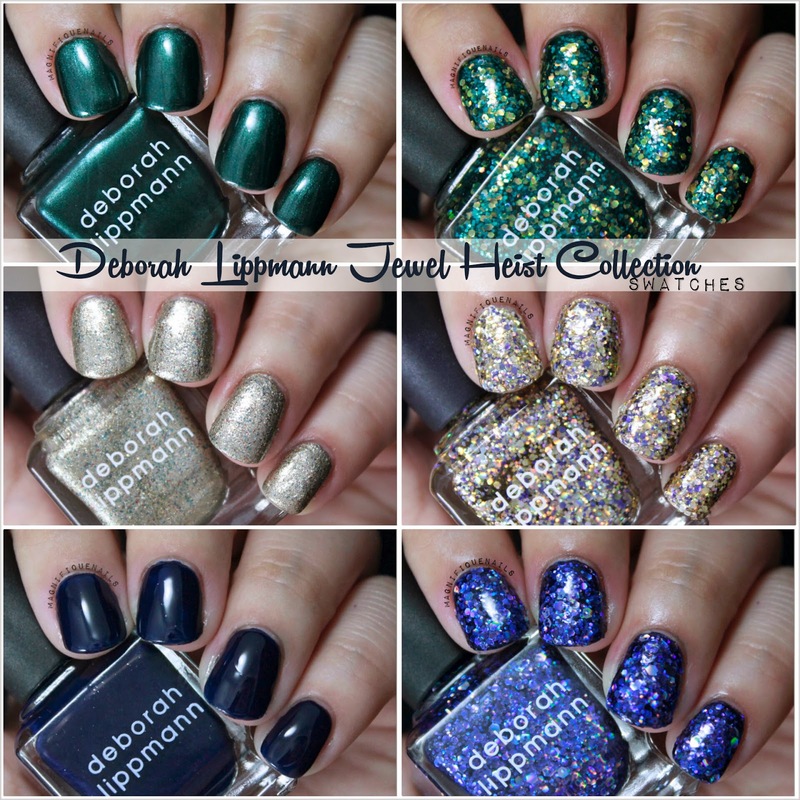 The glitter polishes retail $19.00 & the solids $17.00 each. 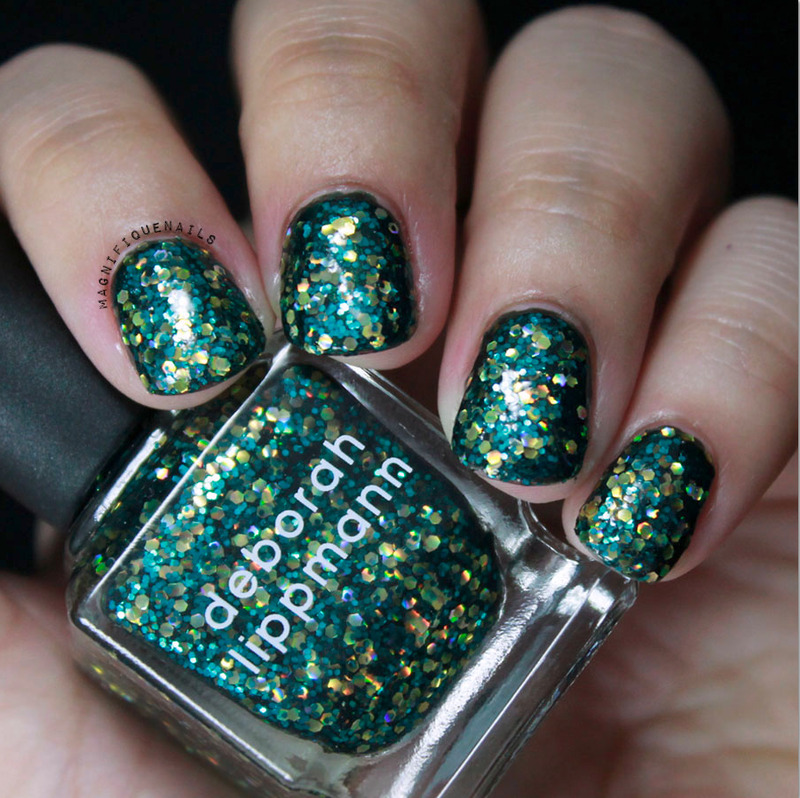 Follow Deborah Lippmann Instagram @deborahlippmann!